After something a little different? Look no further than the Black Diamond! 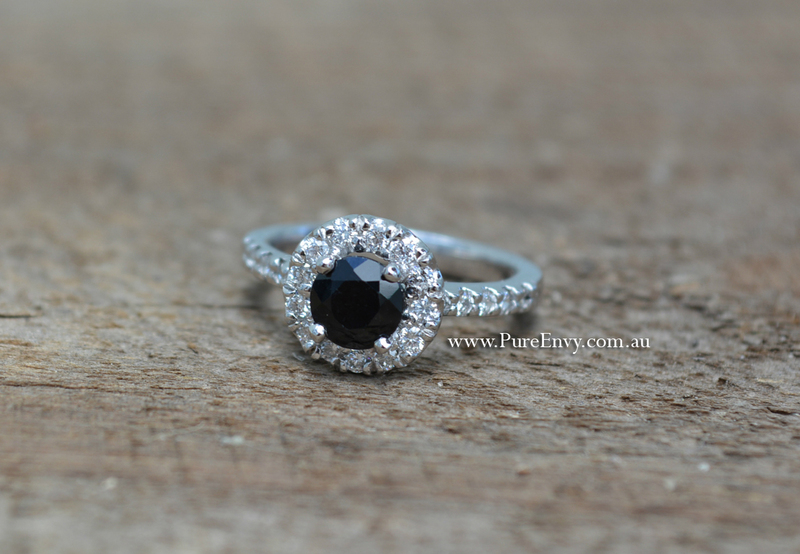 Set in a 4 claw setting, this Black beauty is complimented by a fine halo of Round Brilliant Cut Diamonds. The ultimate blend of black and white in a timeless design that will be certain to have people admiring your ring for years to come.